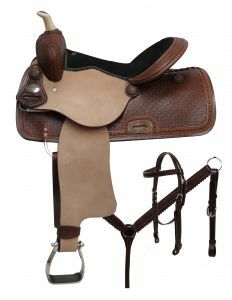 15" Economy Synthetic Saddle with Suede Leather Seat. 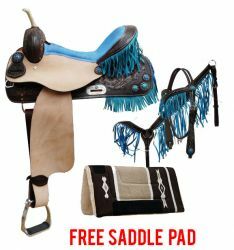 16" Economy Synthetic Saddle with Suede Leather Seat. 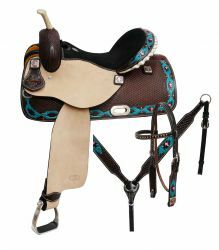 Circle S 14, 15", 16" Barrel style saddle set with Navajo diamond print. 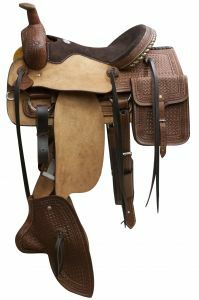 14" Double T barrel style saddle set. 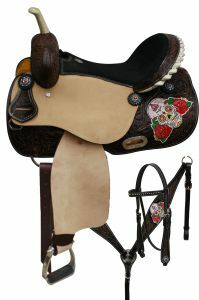 14", 15", 16" Double T barrel style saddle set with sugar skull design. 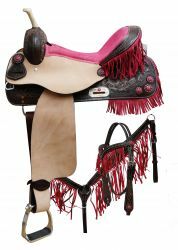 14", 16" Double T fringe barrel saddle with crystal rhinestones conchos. 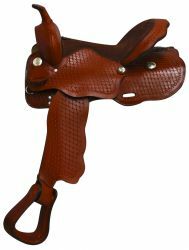 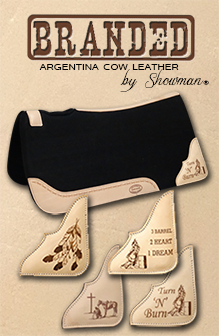 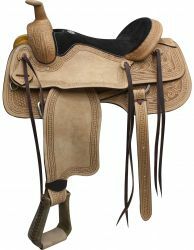 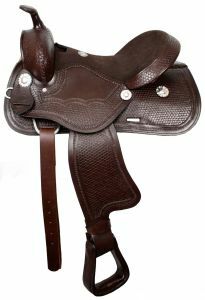 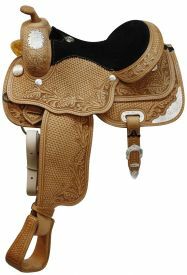 15", 16" Showman ® Argentina cow leather hard seat roper saddle. 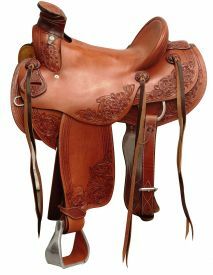 14" Double T Argentina cow leather barrel style saddle with basket weave tooling. 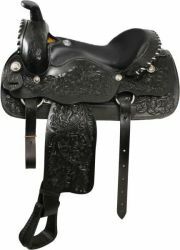 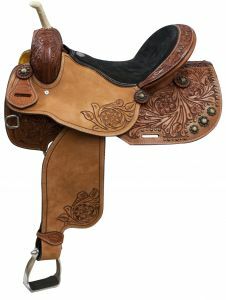 16" Fully Tooled Economy style western saddle with suede leather seat. 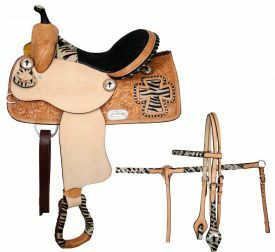 16" Double T barrel saddle with half colored zebra print seat. 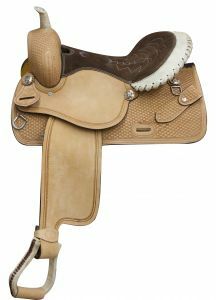 16" Double T pleasure style saddle. 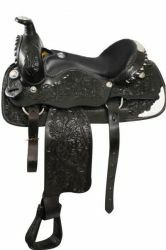 Circle S 13", 14", 16" Fully tooled Circle S show saddle with full Quarter Horse bars. 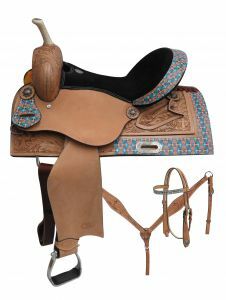 16" Blue River roper saddle with tapederos and saddle bags.